Rescue volunteers find 19-year-old hiker who went missing in the Judean Desert. Hiker suffered light injures in fall, but in good condition. Rescue Unit Arad, Etzion, and Ein Gedi volunteers found a lost hiker on Friday, who disappeared after arriving at Ein Gedi Thursday afternoon. 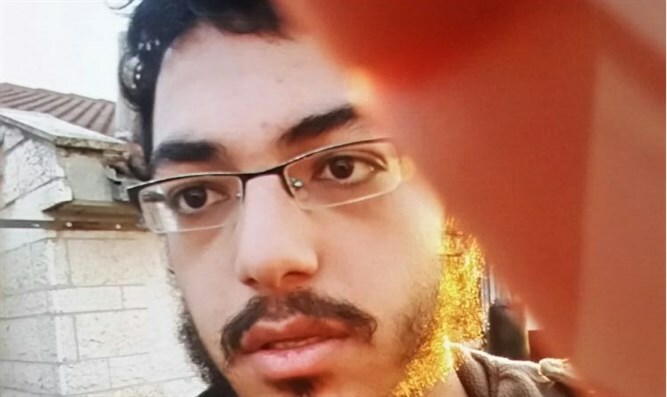 Yehuda Gidron, 19, last contacted his family at 9:00 p.m. Thursday night. The rescue unit located Gidron Friday afternoon after it conducted an extensive search using drones and volunteer rescue teams which searched around the Mishmar Stream, Tze'elim Stream, and the entire Ein Gedi area. Gidron had arrived at Ein Gedi on Thursday, at approximately 2:00 p.m. At approximately 9:00 p.m., he told his father that he was going down to the stream. Authorities say Gidron suffered light injuries in a fall while hiking, but was in good condition by the time rescue teams found him. He was evacuated to the Hadassah Ein Kerem Hospital in Jerusalem.